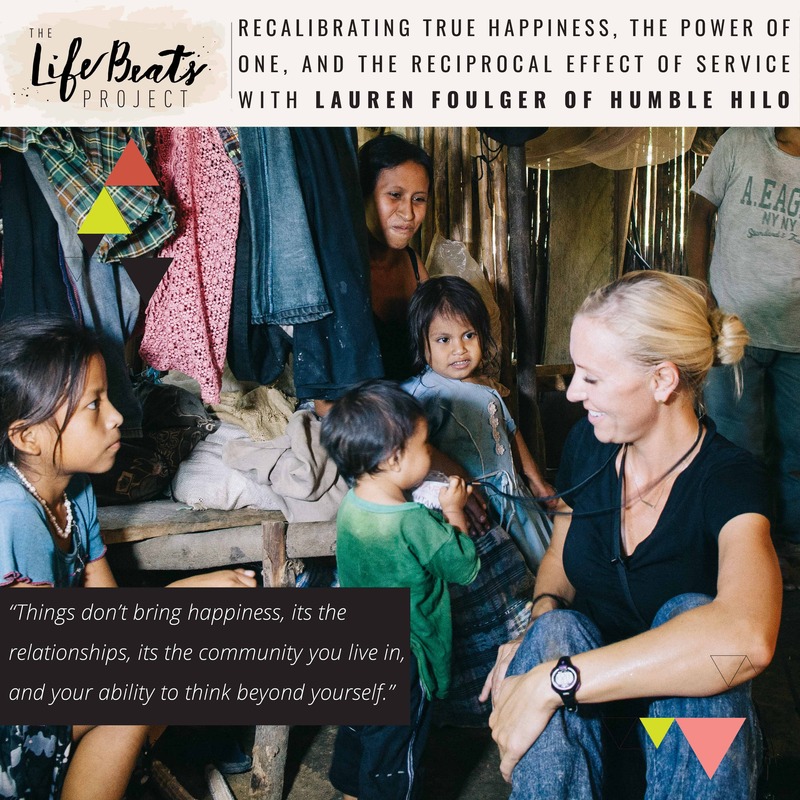 Lauren Foulger is the co-founder of Humble Hilo and director of World Link Partners and has made it her life’s mission to create change in the lives of others. I am sure you have seen Humble Hilo’s beautiful handmade textile bags, now you can hear about their story of why it began and how partnering with World Link Partners they are creating opportunities for Guatemalan women to support their families through projects in child nutrition, education and literacy for women, and microfinance loans for women to start their own small business to change theirs and their families lives which in turn changes communities. Lauren was raised in a philanthropic home that continually served. She later lived among impoverished villages in Guatemala and Kenya and in lands of devastation such as Thailand after the tsunami. She has dedicated her life to improving the lives of others and has incorporated into her family life as a mother and has seen lives change through the opportunities provided through the combined efforts of Humble Hilo and World Link Partners. She shares the story of finding a little girl’s shoe on the shore of Thailand after the tsunami and the impact that made on her life as well as recounting the stories of two Guatemalan women and not only how their lives and the lives of their children have been transformed by the goodness of those involved with these organizations, but also how Lauren has been transformed by them. Lauren shares of the light and community that exists amongst these women that our culture often lacks. She tells of the cyclical process of the creation of their products to the purchase of them to how that money returns to these women and villages. You will be inspired by Lauren’s compassion and by the resiliency and courage of the many women in the remote villages of the Highlands of Guatemala. There is so much good out there in the world my friends! You my friends can be a part of this beautiful process by helping us spread awareness of this beautiful and high-impact business by entering their giveaway. Enter it yourself and share it with all of your friends. One lucky listener will win Humble Hilo’s exquisite Nieve bag, a large leather bag with a white huipil (hwa-peel) accented with a vibrant colorful pattern. On their website it shows that the purchase of this bag would provide either feeding a malnourished child 2 meals for 3 1/2 weeks, a portion of a microcredit loan to a woman for the duration of 2 weeks, or literacy classes for a woman for 3 months. Look for this giveaway post on my Instagram of the Humble Hilo bag and comment with the word ‘subscribed’ and then in the same comment tag two friends who would love a chance to win! *For additional entries tag more friends! The giveaway will last until midnight MST on Thurs Sep 8. Want to know if this episode it for you? This episode is perfect for someone wanting to make an impact for good in the world and be involved in serving wherever they are. It is for someone looking to see goodness through difficulties and how those in dire situations can find true happiness in the midst of it. It is for someone looking for inspiration and a way to feel strength in their own life. It is also perfect of someone wanting to understand the cyclical process of the creation of their products to the purchase of them to how that money returns to these women and villages.